Wave pools set to disrupt the surf charter industry, but in what way? It’s no surprise to get the fact that when it comes to wave pools everybody seems to have an opinion on what this will mean for surfing’s future. Will their advent spell the doomsday end to the magical mystery tour that traditionally a “surf trip” would aspire towards? What about surf charter operators, losing their credibility once the perfect wave has been discovered on the corner of west and main streets in your major cities around the globe? Who would want to risk the types of things you encounter when traveling to far off lands, when you could score the perfect barrel at your local, consistently and without the hassles of your homies droppin’ in on ya. So let’s take a trip down future memory lane and see if we can come up with a likely scenario, that just might make the doomsayers sit up and think for a moment. Firstly who goes on boat charter or land camp based surf trips? Answer, surfers who are prepped and up for the challenge. Not necessarily excluding the older surfer, but the young fit chargers are who you mostly come across in your travels. If you encounter older surfers, you will often hear of their lengthy prep times for getting ready for their trip of a lifetime. Older surfers tend not go on surf safari adventures as the pressure to perform can often be out weighed by the prospect of actually being ready and able to charge when the opportunity comes up. So perhaps the wave pool can offer a suitable alternative. Or perhaps something else entirely. For starters, you need to surf all year round, in often horrible conditions, just to maintain a surfing fitness level that can best be described as a labour of love or at least a consistent grind, if you want to stay surfing fit and ready for when it begins to pump. Being unfit and wave poor is a common problem especially as you get older. You just can’t turn up when it is pumping after not surfing for months during that flat spell or whatever is not to your liking and think you are going to be competitive in the line and actually get the waves you want. Wave pools on the other hand, offer you constant, predictable conditions that can help produce surf fitness. The perfect prep gym for the surf tourist, who wants to be in prime shape to take on what the ocean has to offer as soon as they jump into that warm water in the Mentawai islands, is something that the wave pool is going to be used for. Gone are the first 5 days of your trip getting used to (read learning how to for the older surfer) surfing again, before you are ready to fully charge. So you are older and don’t get that excited to surf onshore, closeouts at your local beachie anymore, and along comes the opportunity to change up the game with a Surflakes wave riding experience. This may be a surprise use for wave pools and not being the end result but just a component of the surfing experience that will add to their attractiveness and not diminish the surfing lifestyle at all. Go ahead and book your charter, just make sure you have a week’s prep in the pool before heading off and you will be primed and ready to go full steam ahead when you get to your exotic locale. Gone is the necessity of those continual grinding days in total crap, instead do other cool things all year round and stay fit at your local wave pool park. What could be easier and more liberating for surfers the world over? Will the surf safari industry experience disruption? Our original question and the answer just might be yes, but not the way you are thinking. Surf charters may well become more popular as the number of people learning to surf explodes and at the same time your local beachie may well become less crowded. Is this going to be a good thing or a bad thing? Like the old proverb, “it’s too early to say”. The decision to make this first appearance be one of the traditional open ocean sense, could be the very last depending on the actual surfing conditions in Japan at the time. No doubt it is exciting times with the explosion of wave pool technologies from Kelly’s Wave Ranch, to American Wave Machines Waco Texas, to Wavegarden’s Cove and soon to be released the Surflakes Plunger pool how the future unravel’s is truly anybodies guess but one thing is for sure, the buzz of surfing a wave is not going anywhere regardless of how the wave is generated. Surfcomp the world’s first – “real time, surf contest management” app is reaching the final stages of development and about to enter the beta testing stage. First release of the app will be rolling out early 2016, with the initial platform release on iOS (iPhone – iPad). Clubs that are interested in being part of the beta test program, should contact us to find out how to be included in changing the competitive surfing world that has long been waiting for the chaos of surf contest management to be finally a thing of the past. Photo: Darren Geros – Maldives. Exciting news for all interested in using the Surfcomp app. We are one step closer to tossing away those fiddly pieces of paper, for our monthly surfing competitions, once and for all. Surfcomp is now in development following the acquisition of funding through our newly appointed co-founder Darren Geros. Darren is a long standing member of North Narrabeen Board Riders Club and has strong background in application development. As one of the founding partners of eMite Australia, Darren brings in a wealth of knowledge and experience in the online and systems management space. Darren also brings in funding to help Surfcomp become a reality, and helping Australian board riders clubs take the often chaotic task of organising and running a local surf comp and bringing it up to speed with current technologies we all have in the palm of our hands. With development still in the early stages, it is expected that a beta test application will be ready for a select group of board riders clubs to be testing in Q3/4 of 2015. 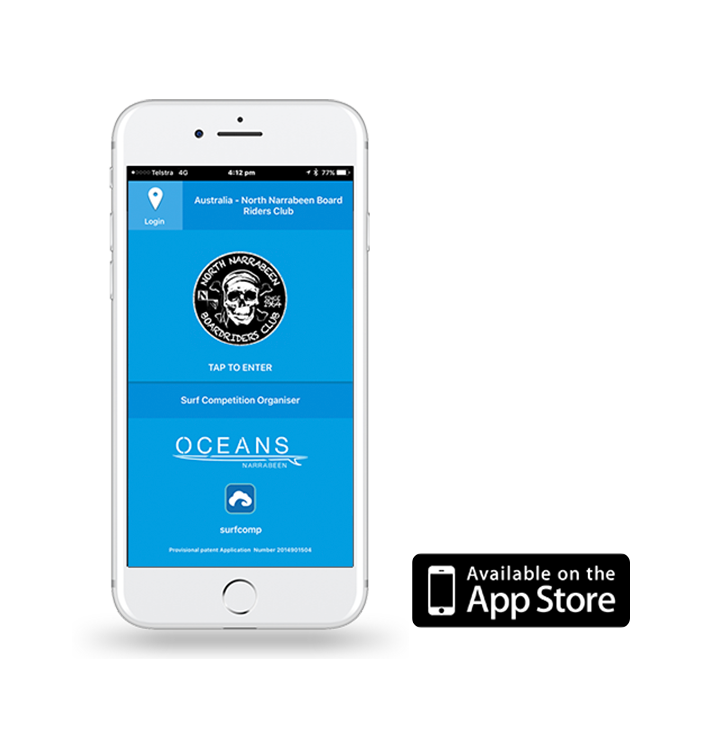 The launch of our version 1.0 Surfcomp app is expected to see the light of day for all board riders clubs around Australia, January 2016. The app is set to be a free download for members and friends of individual clubs. For more information on how your club can get involved and apply for possible inclusion on the beta testing program, click here to get in touch today.